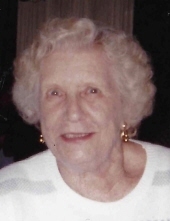 Ruby Agnes Kuehn, age 98, passed away peacefully in Bridgeport. She was born in Canada in the village of McAdam, New Brunswick to the late Robert and Dora Washburn and was the loving wife of the late Robert G. Kuehn. Ruby graduated Harding High School and lived in Bridgeport, Stratford, and Port Richey, FL. She loved music and years ago sang with Schwabin Hall Singing Society of Bridgeport. Her door was always open if you needed a place to stay. She is survived by her three children, Robert Kuehn and husband Paul Cuticello, Kathleen Heffern and husband Richard Ianucci, Carol Katsis and husband Greg; four grandchildren, Dave Heffern and wife Ann, Wendy Heffern, Brian Katsis and wife Kerrie, and Keith Katsis and wife Lyndsay; six great grandchildren, Victoria Reichardt, Christina Heffern, Tyle Heffern, Gavin Katsis, Quinlan Katsis, and Logan Katsis; one great great grandchild, Aubrey Rose Reichardt-West; and several nieces and nephews. Ruby was the last of seven brothers and five sisters: Hilda Riley, Thomas Washburn, Stanley Washburn, Hazen Washburn, Raymond Washburn, Carl Washburn, Helen Reese, Donald Washburn, Robert Washburn, Dorothy Miller, Lois Svendberg, and Joan Miller. Friends are invited to attend the funeral on Thursday, February 14, 2019 at 9:30 am at the Pistey Funeral Home, 2155 Main Street, Stratford and at 11:00 am at St. Joseph’s Church 1300 Stratford Road, Stratford. Interment will be at the convenience of the family. Friends may call on Wednesday from 4 to 8 pm at the Pistey Funeral Home. To send flowers or a remembrance gift to the family of Ruby Agnes Kuehn, please visit our Tribute Store. "Email Address" would like to share the life celebration of Ruby Agnes Kuehn. Click on the "link" to go to share a favorite memory or leave a condolence message for the family.